The Very Best Commercial Marble Floor Restoration Bristol And The southwest. Are you looking for commercial marble floor restoration bristol services? Then look no further. When it comes to commercial marble floor restoration Bristol do not use any other company that say they can but cant deliver amazing results like we can. Our Colossal marble floor restoration service is Awesome. Seeing is believing when it comes to commercial marble floor restoration bristol, from a simple marble scratch repair to full commercial marble floor grinding. Contact us NOW if you want to see the best marble floor restoration results. Commercial Marble floor cleaning Bristol and more. CleanAndSealUK are experts in commercial marble floor cleaning bristol. Is your commercial marble floor in need of marble care? Then you need to contact us. Our marble cleaning Bristol services also involve cleaning marble fireplaces, which can become dirty over time. Removing stains from marble on any surface like marble countertops can be achieved 99% of the time. So if you need stains on marble removed and the marble cleaned then you found the right company. Commercial Marble floor polishing and honing service Bristol. Has your commercial marble floor lost its shine? Can’t you see a reflection in your marble anymore? Don’t you want a reflection in your marble floor anymore? Are you struggling to keep your marble floor clean? Are you looking for easier maintenance for your marble floor? These are just some of the topics of conversation we have with our clients about commercial marble floors. CleanAndSealUk offer an amazing commercial marble floor polishing Bristol and marble floor honing service Bristol just for you and your floor. We will know exactly what you want from a simple email or chat. So get in contact today. Sealing Commercial Marble Floors Correctly. 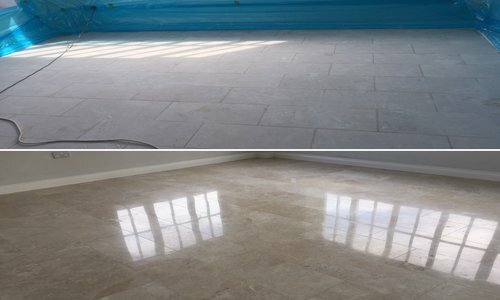 Don’t make mistakes when it comes to sealing commercial marble floors, marble sealants and marble tile sealers vary, and if you apply the wrong sealer to your marble floor you might just damage it, Why chance it, after all you spent an arm and a leg getting your marble floor installed and looking amazing. 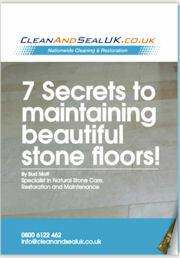 CleanAndSealUK give you the best commercial marble floor sealing service Bristol ever.